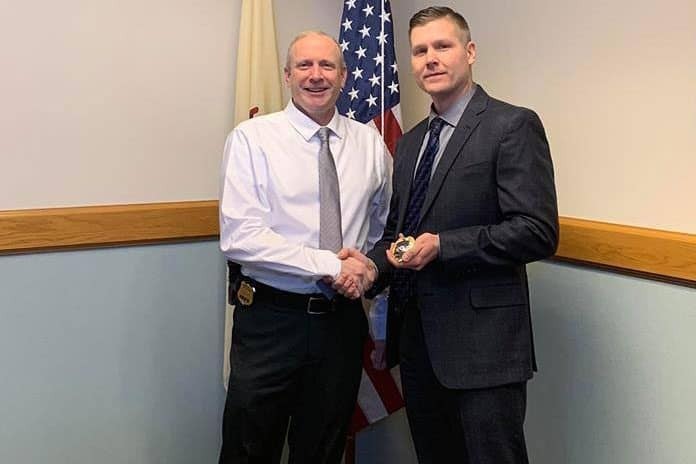 JACKSON – The Jackson Township Police Department has a new detective. Officer Michael Goelz was presented his detective shield Jan. 22 by Jackson Police Chief Matthew Kunz. “Congratulations to Det. Goelz on his assignment to the Investigations Bureau where he will also serve as the agency’s primary Humane Law Enforcement Officer (HLEO) and be assigned to investigate animal abuse crimes. We wish him the best in his continued career with the agency,” Jackson Township Police said in a statement. Goelz started with the Ocean County Sheriff’s Department, and in 2008 was hired by the Jackson Township Police Department. He worked second- and third-shift patrols and also served as a sniper with the Ocean County Regional SWAT team. He started training with the detective bureau in 2017.